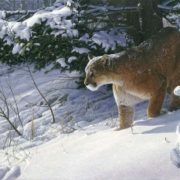 The puma is a large cat of North and South America. 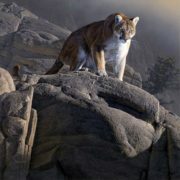 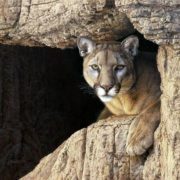 It is also commonly called a mountain lion, cougar, or panther. 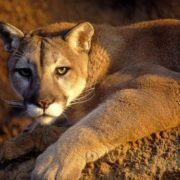 Probably puma is the only animal on the planet which has so many names. 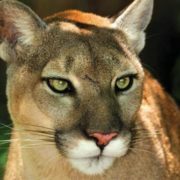 Puma is even in the Guinness Book of Records as an animal with a large number of names. 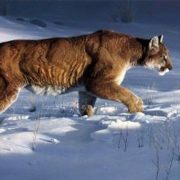 Its scientific name is Puma concolor. 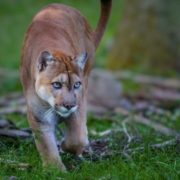 Pumas can be up to 1.8 meters long, without the tail. 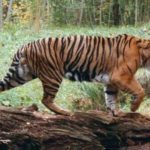 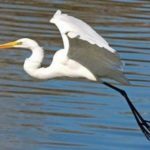 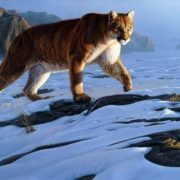 They stand about 0.6 to 0.9 meter tall at the shoulder and weigh about 36 to 100 kilograms. 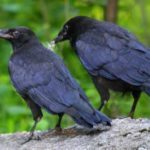 They may be yellowish tan, reddish brown, bluish gray, or some other color. 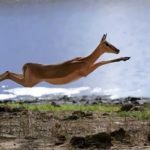 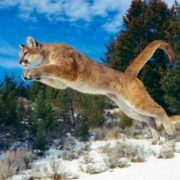 They are great jumpers and can jump to heights of more than 5.5 meters. 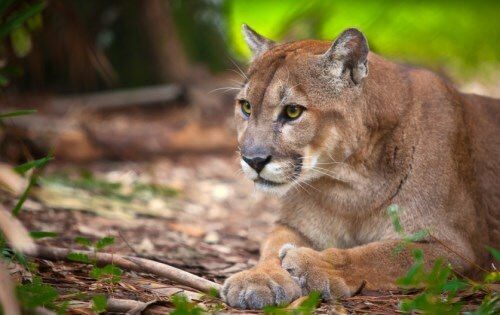 Puma is the second largest representative of the cat family in America, only jaguar is bigger. 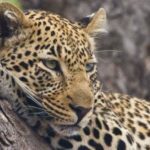 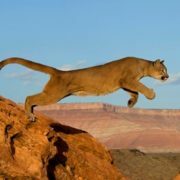 On the plain, the cougar can reach speeds of up to 65 km / h, but it quickly gets tired and, in the case of pursuing, tries to climb quickly onto the tree. 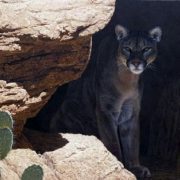 All pumas are solitary animals. 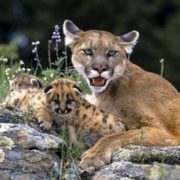 Females stay with babies which are born spotty. 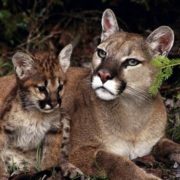 The milk of a cougar is 6 times fatter than the cow’s milk. 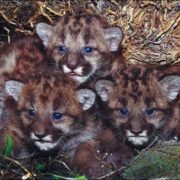 The young pumas never leave the shelter until their mother calls them. 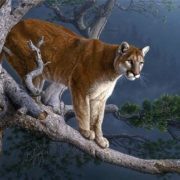 When puma catches a large prey, it always hides its remains until the next meal. 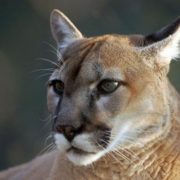 Pumas are the only large monophonic cats on the American continent. 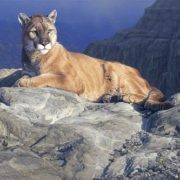 To survive, one puma needs to eat 860-1300 kg of meat a year, it is approximately 45-50 ungulates. 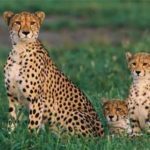 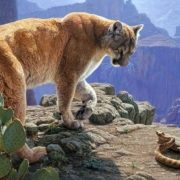 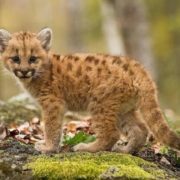 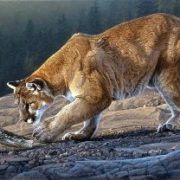 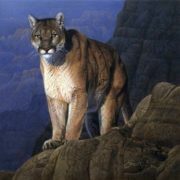 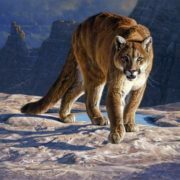 Cherokee and Zuni Indians believed that pumas were sacred animals. 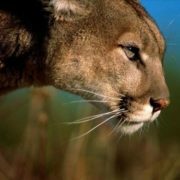 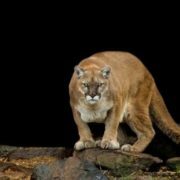 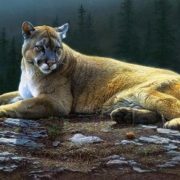 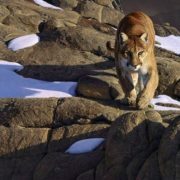 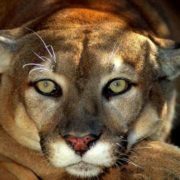 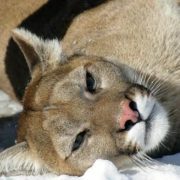 In order to restore the population of cougars in Canada and the USA, hunting for pumas is limited or completely banned. 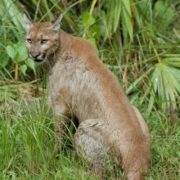 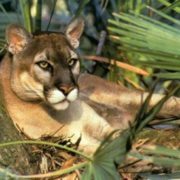 Cougars living in the southern regions of America often attack alligators and sometimes kill individuals twice as large as they are. 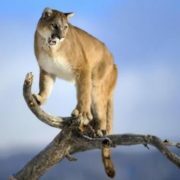 Wolves, bears and jaguars are the most dangerous enemies of cougars. 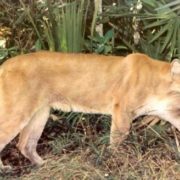 In the wild, pumas can live 18-20 years.